In reply to an RTI query, the Reserve Bank of India (RBI) said it has no data on the old 500- and 1,000-rupee notes used to pay for utility bills such as fuel at petrol pumps, which are believed to have formed a good part of the demonetised currency that returned to the banking system. After the November 8, 2016 shock decision to ban the use of old 500- and 1,000-rupee notes, the government had allowed the exchange of the junked notes as well as they being used for payment of utility bills for 23 services. Both 500- and 1,000-rupee notes could be used at government hospitals, railway ticketing, public transport, airline ticketing at airports, milk booths, crematoria/burial grounds, petrol pumps, metro rail tickets, purchase of medicines on doctor prescription from the government and private pharmacies, LPG gas cylinders, railway catering, electricity and water bills, ASI monument entry tickets and highway toll. On November 25, 2016, the exchange of old notes was stopped and the government allowed the use of only old 500-rupee notes at these utilities till December 15, 2016. The government, however, stopped the use of even this currency at petrol pumps and for the purchase of air tickets at airports abruptly with effect from December 2, 2016, after reports that they are becoming fronts for laundering of old currency notes. In reply to the Right to Information (RTI) query, the RBI said: "Information on (invalidated) notes used for paying utility bills is not available with us". 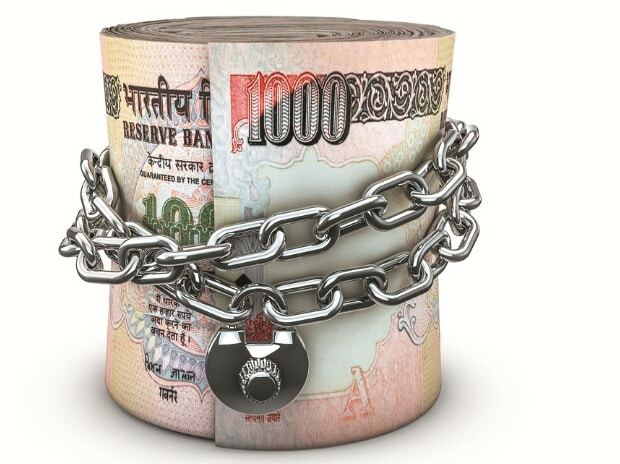 As much as 99.3 per cent of the junked 500- and 1,000-rupee notes have returned to the banking system, the RBI had stated in August last year, indicating that just a miniscule percentage of currency was left out of the system after the government's unprecedented note ban aimed at curbing black money and corruption. Of the Rs 15.41 trillion worth Rs 500 and Rs 1,000 notes in circulation on November 8, 2016, when the note ban was announced, currency worth Rs 15.31 trillion has been returned. On the issue of number and value of invalidated or demonetised currency notes being exchanged, the RBI in the RTI reply referred to a November 28, 2016 press statement where it had stated that "Banks have since reported that such exchange/deposits effected from November 10, 2016, upto November 27, 2016 amounted to Rs 8,44,982 crore (exchange amounted to Rs 33,948 crore and deposits amounted to Rs 8,11,033 crore). "The facility of exchange of Specified Bank Notes at banks' counter was available up to November 24, 2016," it said. Specified Bank Notes or SBN is the term used to denote the demonetised currency which was allowed to be deposited in bank accounts till December 30, 2016. The Reserve Bank of India also said it did not have information on the number of SBNs used to buy KYC-compliant instruments like insurance policies. The central bank referred a part of the RTI to the Insurance Regulatory and Development Authority of India (IRDAI) which also stated that it does not have information on old notes used to pay for insurance policies as "it is not maintained by the Authority".